Beneficiary of the BRIDGES program in Syria. In Syria, in a tense economic climate, the IECD encourages young people to create their own business. Set up since October 2016, the BRIDGES program (Building and Reinforcing Integration through the Development of Guidance, Employment and Skills) aims to help young start-up entrepreneurs develop their entrepreneurial skills. 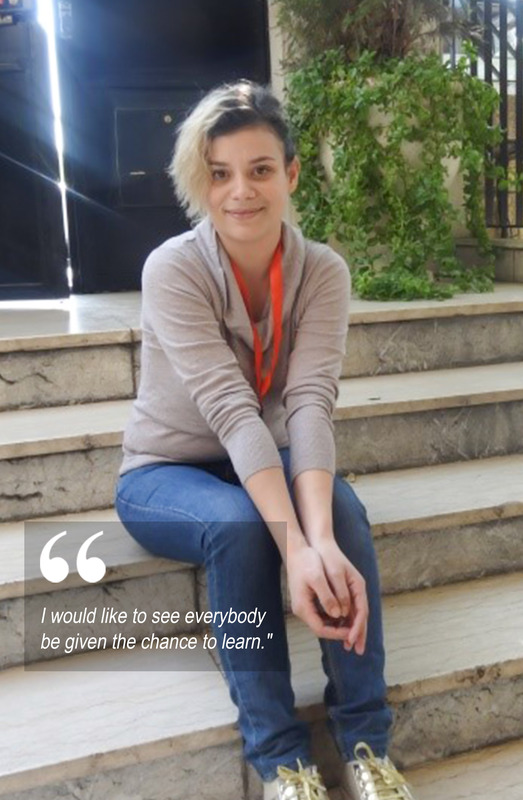 Monera is a determined 24-year old girl whose ambitions helped her to overcome the obstacles. After obtaining her baccalaureate, she dreamed of higher education, but her family did not have the necessary resources. This would have discouraged many, but not Monera. “I decided to learn French myself and, nowadays, I offer lessons in my neighborhood. I would like to open a training center for the underprivileged at affordable prices. Whether people are rich or poor, I would like to see everybody be given the chance to learn. I want to help others in the same way as I was helped.